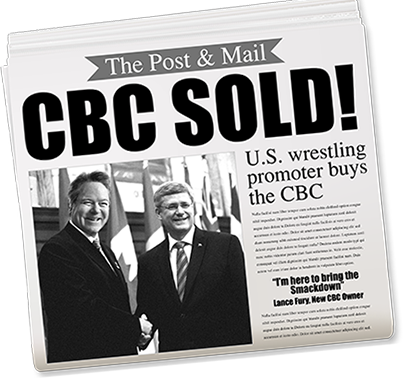 The Twain Shall Meet: CBC Sold to American Wrestling Promoter! 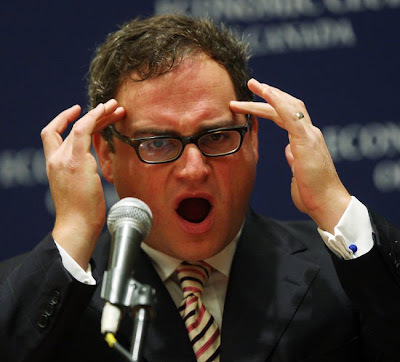 better known to millions of Canadians as "Mr. Dressup"
to a "Fight to the Finish"
at a fund raiser for a 'think tank' in Calgary, last week. loudly demanding to be paid for his time. And he says he is an advocate of free speech? p.s. My money is still on "Mr. dressup". You do know that Ezra sues everything in sight, eh? So, I'll stay out of sight! As If! I have nothing left to sue for. HarperLand is in the throes of a deep downturn. According to the Salvation Army, they have had a 40% increase in emergency funding requests as compared to last year. So, when you see one of their kettles, think of me, Lol!